For the past few years, I’ve walked around with a $2 bill in my wallet. I’ve never questioned why, but after over 2 years, I now know “2” is my theme for Team Blitz this year. This is our 2nd year We can raise at least $2 for every Hawks fan. We can double our Team size. We can double our Facebook presence. Now is the time to double down with me against MS.
Last year, I made one of the best decisions of my life. I started Team Blitz. If you aren’t familiar with my personal story, you can read it here. (www.BlitzTacklesMS.com/ryan) Together, we raised over $70,000. We won Rookie of the Year and Biggest Team award. Because of you, I won the MS Society’s Achievement Award and was the keynote speaker at the MS Luncheon that raised over $300,000. Together, we made a difference. We raised awareness. We raised money. We watched the first oral medicine get FDA approval. We made progress against Multiple Sclerosis. In December 2008, I was diagnosed with Multiple Sclerosis, a disease that still has no cure. I’ve had a few flare ups and I continue to have MRIs every few months. Luckily, I have a great team of doctors, family and friends that are my support system. In addition, it has been amazing to see the Seahawks community come together to help me, support me and be my friend. There are 67,000 people that fill Qwest Field every home game. This year, I’m pulling the $2 bill out of my wallet. If everyone at a single Seahawks game did the same, we would hit our 2011 goal of $134,000. We had 250 Team Blitz members last year, with 2 more per person, we are an army of 750! We have over 2300 people on the Facebook group.Have 2 of your friends join and hear what Team Blitz is doing. Join Team Blitz in 2011 and help millions of people like me that struggle behind closed doors with symptoms you may never see but ones that I, that people you love, that people you know and that people you don’t know feel every single day. Approximately 100 times a year, I’m asked to dress up as Blitz. More and more, people come up to me at events to thank me for what I’m doing for MS. Nothing puts a bigger smile on my face behind the mask I wear, because they aren’t just thanking me, they are thanking all of Team Blitz. Join me for our pub crawl on March 19th to raise money and celebrate my 30th birthday. On April 3rd, I ask you to walk for me, so that I can continue to run for you. Here are a few things you can do to move the needle right now!!! 1) Join Team Blitz and start fundraising – www.BlitzTacklesMS.com Do it Today! 2) Send this email to 2 people that you don’t think received it. 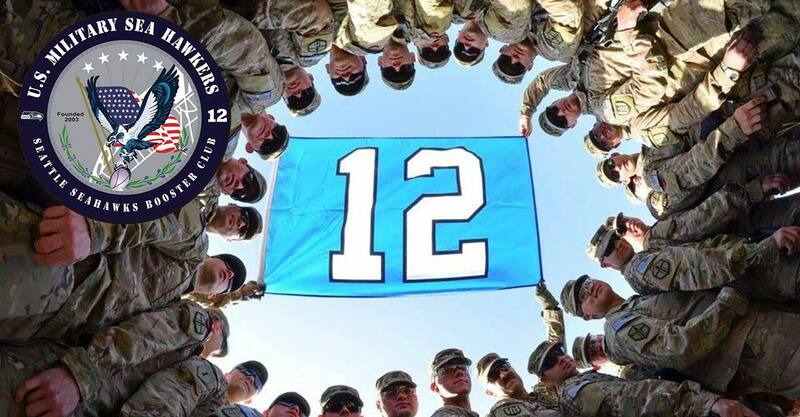 If you’d like to join the Military Sea Hawkers in donating to Team Blitz, you may submit your donation here.